From this five aspects differences between saw pipes and erw pipe, I think you already have some impression about saw pipe and erw pipe. Though we are professional LSAW pipe manufacturer, we learned about the ERW pipe and SAW pipes as well. 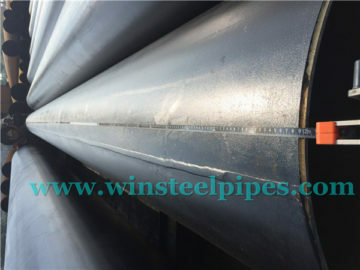 There are many kinds of pipes in carbon steel pipe. You will see weld steel pipe and seamless steel pipe. And in welded steel pipe, you will find different methods forming process, such as erw, lsaw, ssaw. So first, let’s see what the differences between saw pipes and erw pipe are. 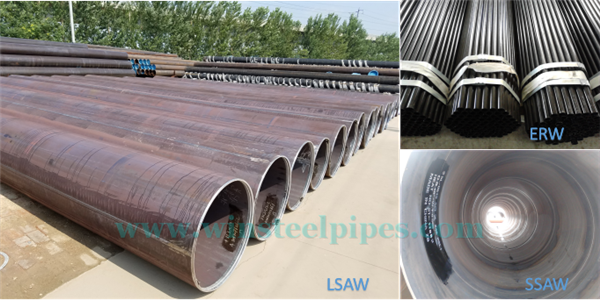 In manufacturing processes, we can see SAW pipes (LSAW, SSAW) and ERW pipes are entirely different right from formation and welding method etc. In single seam SAW steel pipe, wedding is done with the help of submerged arc welding process. In this method, a welding arc is submerged in welding flux. A Continues solid filler wire is fed from the outside. The pipe is welding two sides, first is inside, and then welding from the outside. When ERW steel pipe welding process, two electrodes, usually made from copper, are used to apply pressure and current. The electrodes are disc shaped and rotate as the material passes between them. This allows the electrodes to stay in constant contact with the material to make long continuous welds. First we see the differences between saw pipes and erw pipe from definition. Saw pipe means Submerged Arc Welded pipe. 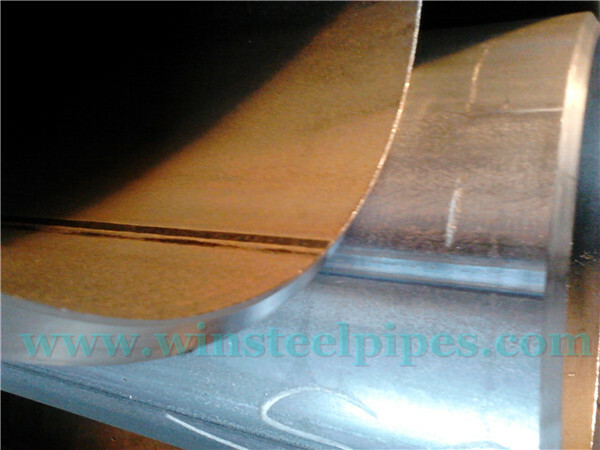 And from different weld seam, there are two saw pipe, including LSAW and SSAW. As the name suggest, SSAW has spiral weld seam. And LSAW has longitudinal weld seam. 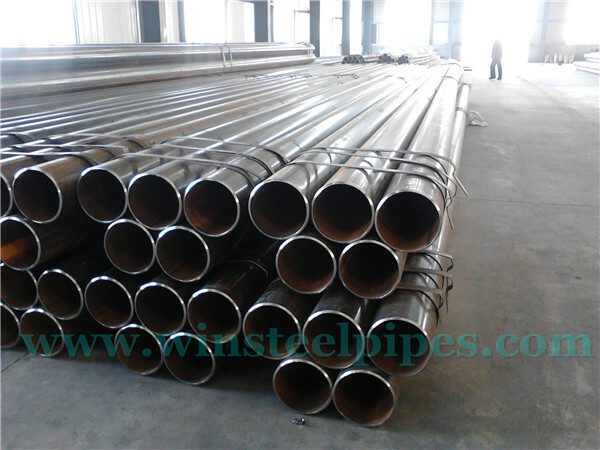 Erw pipe means Electric Resistance Welded pipe. 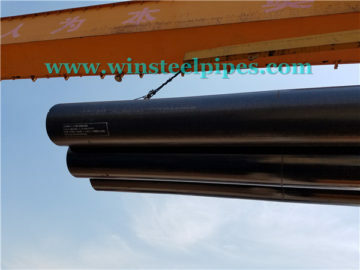 Second differences between saw pipes and erw pipe, we will see it from weld seam. 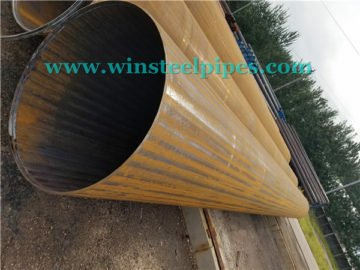 Though both saw pipes and erw pipe all have weld seam. But for weld seam of erw pipe is flat. And weld seam of saw pipe are not flat. 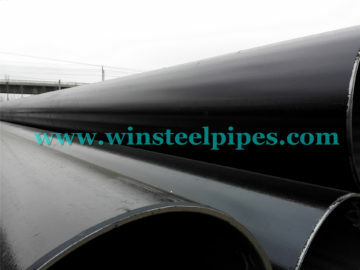 You will see the weld seam of lsaw pipe and ssaw pipe is higher than steel plate. And the tolerance of weld seam height is specified in specifications. 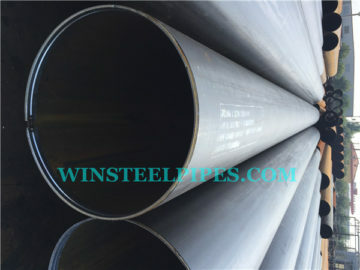 If compare ERW pipes with SAW pipe, ERW pipes surface quality are better. As ERW pipes are smooth and have a better finish. In most of the SAW pipes, it is mainly about the weld reinforcement internally and externally. 3. 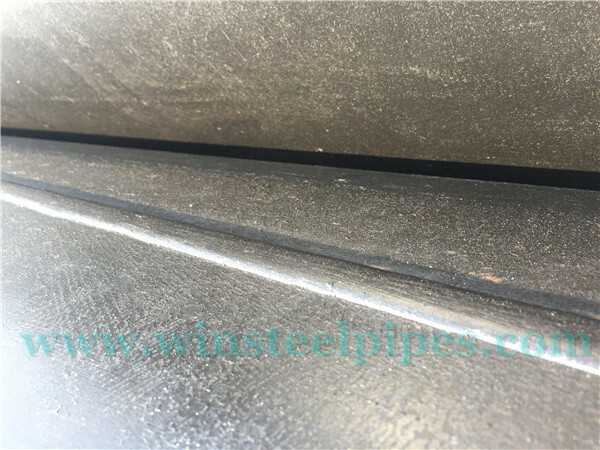 The defects found in ERW pipes are lesser than SAW pipes. 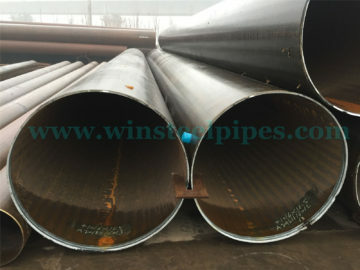 Third differences between saw pipes and erw pipe, we will see it from the defects. As there is a solvent deposit in SAW. It results in more defects apart from the defects in the volume. The defects found in ERW pipes are only confined to wire-line and straight welds and it can be inspected easily. 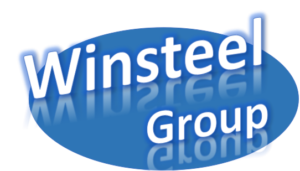 The defects can be noticed easily and the ultrasonic reflection on the surface makes it easier to detect. 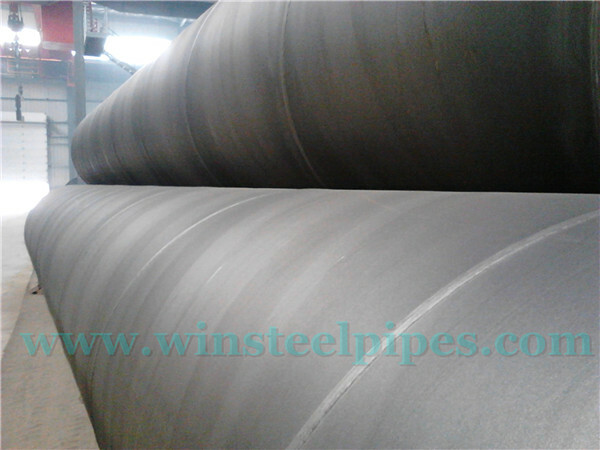 But for saw pipe, inspections are not only for weld seam, but also for raw material. As the saw pipes are all larger than 219 mm, and usually have thick wall thickness. 4. The residual stress ratio in ERW is lower than SAW pipes. Forth differences between saw pipes and erw pipe, we will see it from residual stress ratio. As ERW pipe deformation happens more in ERW followed by a sizing of flat oval. It results in elliptical vertical changes and necking, thereby making the stress smaller. The displacement of ERW pipes was smaller when compared along the axial and transverse incisions for comparison with SAW pipe built using the same material and it was also easy to detect. Fifth differences between saw pipes and erw pipe, we will see it from overall performance. 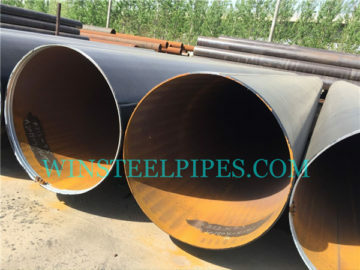 Although the overall performance of both ERW and SAW pipe are the same, once the pipes have defect, the steel scrap and welding can be done on ERW, while it is not the same in case of SAW, which would result in cracking or corrosion, making the ERW more durable. From this five aspects differences between saw pipes and erw pipe, I think you already have some impression about saw pipe and erw pipe. Though we are professional LSAW pipe manufacturer, we learned about the ERW pipe and SAW pipes as well. 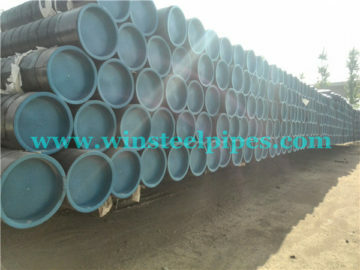 As to know the difference among them is convenient for us to introduce the suitable pipe for our customer’s projects. And if you have any questions, please contact me.